EIF promotes basic literacy with a special focus on girl education. It supports 21 Urdu Medium schools located in remote Villages of Zaheerabad circle in Telangana. In addition to providing Teachers, school uniforms and books, Eid clothes are also provided to Orphan children. To achieve good results in SSC board examination arrangements for additional coaching are made and also Model papers are provided, in addition to regular supervision by the field staff. As a result, the schools sponsored by EIF are getting good results when compared to other schools functioning in the nearby Villages. 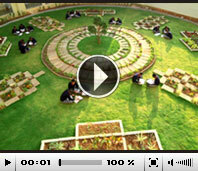 EIF is supporting 4,325 students studying in these 21 Urdu Medium schools.